I used to be a believer in the Three-Self Church in China. When I first started participating in gatherings, the pastors would often say to us: “Brothers and sisters, it is recorded in the Bible that: ‘For with the heart man believes to righteousness; and with the mouth confession is made to salvation’ (Rom 10:10). We’ve been justified due to our faith. Since we believe in Jesus, we have been saved. If we believed in any other, then we wouldn’t have been saved….” I held on to these words of the pastors. As a result, I ardently pursued and actively attended gatherings as I waited for the Lord to come and let me into the kingdom of heaven. Later on, as unlawful deeds kept occurring in the church, it made me feel fed up with the gatherings there. Among the pastors they were divided and partitioned, each trying to establish themselves at the top of the faction and set up independent kingdoms. The sermons from the pastors needed to obey the United Front Work Department (UFWD). The UFWD didn’t allow them to discuss the Book of Revelation out of fear that it would disturb popular sentiment, so the pastors didn’t preach it. The pastors would often preach about donation, saying that the more one donated then the more blessings they would receive from God…. So when I saw that these were the circumstances in the church I felt quite bewildered: Why did the church change into this current form? Do the pastors not believe in the Lord? Why do they not follow the Lord’s word? Why do they not have a heart of reverence for the Lord? From that point on I no longer wanted to go to gatherings at the Three-Self Church, for I felt that they did not truly believe in God, that they were false shepherds who acted in the name of believing in God in order to obtain the hard-earned money from brothers and sisters. In the second half of 1995, I left the church without hesitation and joined a house church (adherents of sola fide). At first I felt that their sermons were not subject to the restrictions of the national government, and they even integrated the Book of Revelation and discussed the last days, the Lord’s return and so on. Their preaching was much better than the pastors’ in the Three-Self Church, and I felt there was more enjoyment to be had by gathering here compared to gathering in the Three-Self Church, which made me very happy. But after a period of time, I discovered that here too among the co-workers there were some who became envious, disputed things and wanted to break up the group. None of the brothers and sisters were living out the requirements of the Lord, they were without the love that they had in the past…. When I saw that this church didn’t have any real difference with the Three-Self Church I felt very disappointed, but I also didn’t know where I could go to discover a church that had the work of the Holy Spirit. For lack of a better option, all I could do was stay with these adherents of sola fide. As before, I pressed on with attending gatherings. The pastors and preachers all said “to be saved once is to be saved forever” and “so long as you exercise patience until the end, toil for God and defend the way of the Lord then you will be able to enter the kingdom of heaven.” So I kept thinking to myself at that time: Regardless of how other people are, as long as I press on in my faith in the Lord Jesus and do not depart from the way of the Lord, then when the Lord returns I will have a chance to be raptured into the kingdom of heaven. In the blink of an eye it was already the second half of 1997, and God’s gospel of the kingdom had already spread to where we were, and the church had turned into a chaotic scene. 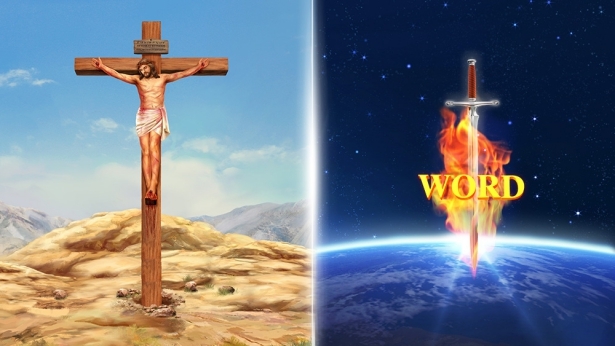 Leader Li said to us: “Nowadays a group has emerged that is spreading Eastern Lightning, they are stealing sheep from various denominations, and they are saying that the Lord Jesus has already returned and that He is carrying out a new stage of work. The Lord Jesus was nailed to the cross for us, He has already paid the price of His life in order to redeem us. We have already been saved, we just need to wait patiently until the end, and when the Lord returns we will certainly be raptured into the kingdom of heaven. So, we must pay attention and we absolutely cannot receive these people in Eastern Lightning. Whoever receives them shall be expelled from the church! Also, you must be sure not to listen to what they say, and you must be sure not to read their book….” It seemed that co-workers at all levels were all talking about these things at pretty much every gathering. After listening to them, I felt conflicting ideas unwittingly arise inside of me regarding Eastern Lightning. I felt I needed to guard against them and exercise great caution, for I feared that I would be stolen away by Eastern Lightning and lose my opportunity to enter into the kingdom of heaven. However, the new year had just begun in 1998 when one day I unexpectedly ran into someone from The Church of Almighty God and had the fortune of listening to the way of Eastern Lightning for the first time. That day, my elder sister gave me a call and invited me to her house. She had also invited Sister Hu from her village to come over too, and when she saw me she smiled and said: “Oh good you came, a distant relative of mine who is a believer is visiting, come, let’s all gather together.” I agreed happily. Before long, Sister Hu came back with her relative. When the sister saw us she greeted us with enthusiasm. Although I had never met her before I felt a sort of closeness to her. She said: “There is widespread desolation in the church nowadays. 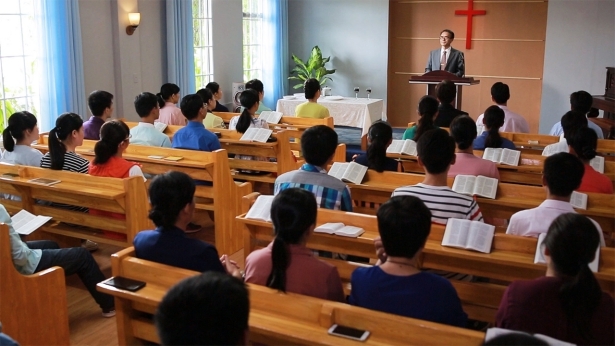 The preachers don’t have anything new they can sermonize about, and at every gathering when they aren’t discussing how to resist Eastern Lightning, it’s all just listening to tapes and singing songs. These are the gatherings. Co-workers grow jealous over one another and get into disputes, they collude and connive, they are all extremely self-righteous and everyone refuses to obey everyone else; the brothers and sisters are negative and weak, and they are without faith and love. Many have left the Lord to return to the world to make money.” Deep inside me I felt the same way, and as I nodded my head I said to the sister: “This is what it’s like where I attend too. Before we would have 20–30 people at our monthly meetings, but now there are just a few elders, even the preachers have gone into the world to make money! There is no pleasure to be had in the gatherings.” The sister nodded her head and said: “This kind of situation isn’t just at certain churches anymore, it is a widespread phenomenon throughout the religious world. This shows that the work of the Holy Spirit is not found within the church any longer, so unlawful deeds will always continue to emerge. This is a sign of the Lord’s return. It’s just like the end of the Age of Law, when the temple became a place that sold livestock and exchanged money. It was because God had already stopped carrying out His work in the temple. Instead, God had become incarnated as the Lord Jesus to carry out a new stage of work outside of the temple.” I listened attentively and nodded frequently. The sister continued speaking: “Sister, in Luke 17:24–26 it says: ‘For as the lightning, that lightens out of the one part under heaven, shines to the other part under heaven; so shall also the Son of man be in his day. But first must he suffer many things, and be rejected of this generation. And as it was in the days of Noe, so shall it be also in the days of the Son of man.’ How do you interpret these lines from Scripture?” I thought seriously about them for a while, and with an awkward smile I said: “Sister, aren’t these lines from Scripture talking about the Lord’s arrival?” The sister replied, saying: “These lines from Scripture are discussing the Lord’s arrival, however, they are not talking about the Lord Jesus who came during that time. Rather, they are referring to the arrival of the Lord of the last days. Sister, right now the faith of the believers in the church has grown cold, they are negative and weak. This is because God has become flesh once again to carry out a new stage of work. God’s work is moving forward, and everyone who does not follow God’s new work will lose the work of the Holy Spirit….” As soon as I heard the sister say that the Lord Jesus has already returned I immediately guessed that she belonged to Eastern Lightning, and my heart immediately sank. The smile on my face also disappeared as the words from my leaders who sealed off the church at once started floating around in my head: “To believe in Jesus is to be saved, to be saved once is to be saved forever! … Do not receive those from Eastern Lightning! …” As I thought about these words from my leaders I wanted to rush back home. But when this idea came across my mind the Lord enlightened me by having me remember a verse from a song: “Jesus is our refuge, when you have troubles hide with Him, when the Lord and you are together what do you have to fear?” That’s it! If I have the Lord by my side then what do I have to fear? The things I am afraid of do not come from God, they come from Satan. At this time, the sister said: “If anyone has any questions, go ahead and share them, the word of God will be able to solve all the problems and difficulties that we have.” When I heard the sister say this, I thought to myself: I hope you will not be stumped with my questions! Today I’d like to hear about what has really been preached in Eastern Lightning, which is able to steal away so many of the good sheep.